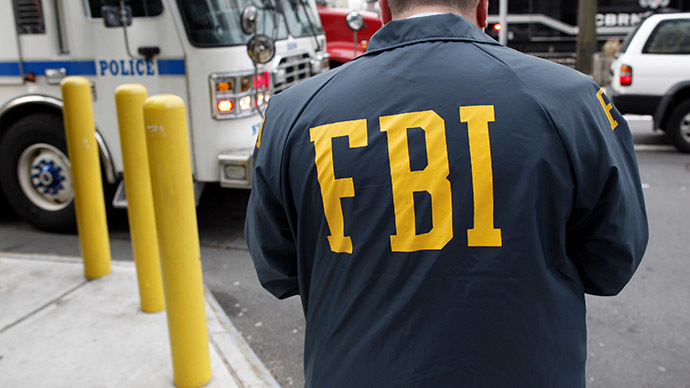 The Federal Bureau of Investigation collects data on individuals not suspected of any crime through a controversial section of the Patriot Act, according to a watchdog report, while the debate on that ability and its supposed strengths rages on. The report, an analysis of the Federal Bureau of Investigation’s use of Sec. 215 of the Patriot Act to acquire so-called business records, was released on Thursday of this week by the DOJ’s Office of the Inspector General, and raises concerns over the FBI’s reluctance to implement changes to the program despite years of recommendations. According to the OIG analysis, the FBI is on track to collect more types of records than ever before through its Sec. 215 authority, notwithstanding concerns over the bureau’s inability to adopt minimization procedures, and the degree of incidental surveillance Americans are increasingly subject to. “The report notes that the scope of business records sought under Section 215 greatly expanded in response to legislative changes, technological advances and strategic choices, and that Section 215 orders have been used in investigations of groups comprised of unknown members and to obtain information in bulk concerning persons who are not the subjects of or associated with any FBI investigation,” reads part of the report’s executive summary. “The agents we interviewed did not identify any major case developments that resulted from use of the records obtained in response to Section 215 orders, but told us that the material produced...was valuable in that it was used to support other investigative requests, develop investigative leads and corroborate other information,’’ the report concluded. Under the government’s interpretation of Sec. 215, authorities can compel third-party entities to surrender customer records if the evidence is relevant to an investigation. According to this week’s report, however, that “authority continues to expand” as investigators broaden their understanding of the law and, in turn, “lowered the evidentiary threshold” for using Sec. 215. Once the FBI decides it wants to use its Patriot Act powers, the report reads, it must ask the Foreign Intelligence Surveillance Act Court, or FISA Court, for approval. According to the report, the FISA Court approved all 51 requests sent by the FBI between 2007 and 2009. But because the latest report is highly redacted – sometimes for pages at a time – the true extent of what is and isn’t collected under Sec. 215 authorities is still unknown. Sen. Richard Burr (R-North Carolina), a chair on his chamber’s Intelligence Committee, said during a discussion on Capitol Hill earlier this month that the government collects web data of Americans in bulk through Sec. 215. He then backtracked on his remarks soon after. This week’s report marks the third time since 2002 that the Justice Department’s watchdog has weighed in on the FBI’s use of Sec. 215 authorities; a power which is expected to sunset at the end of the month unless a resolution is reached in Congress to renew it in the coming days. A national debate has been brewing concerning government-waged surveillance in the 23 months since Edward Snowden, a former contractor for the National Security Agency, disclosed documents exposing the scope of the eavesdropping programs employed by federal agencies in secrecy up until then. Among the first revelations made through the Snowden leaks was proof that the NSA uses Sec. 215 authority to compel telecommunication companies to hand over the records of millions of Americans on a regular basis. Senator Rand Paul (R-Kentucky) led a nearly 10-hour filibuster on Wednesday of this week in an effort to keep Congress from reauthorizing that Patriot Act power. The inspector general report reveals that the FBI was told during past analyses to adopt requirements that would limit the type of information collected through Sec. 215 pertaining to American citizens, but that those changes took years to even begin to be implemented. The OIG notes that the data of innocent Americans continued to be collected for years without adoption of the recommended safeguards. Meanwhile, on Thursday, Snowden himself appeared on the Reddit website for a rare question-and-answer session discussing Senator Paul’s filibuster the night before.